Indian fusion music with William Pitt on the guitar. 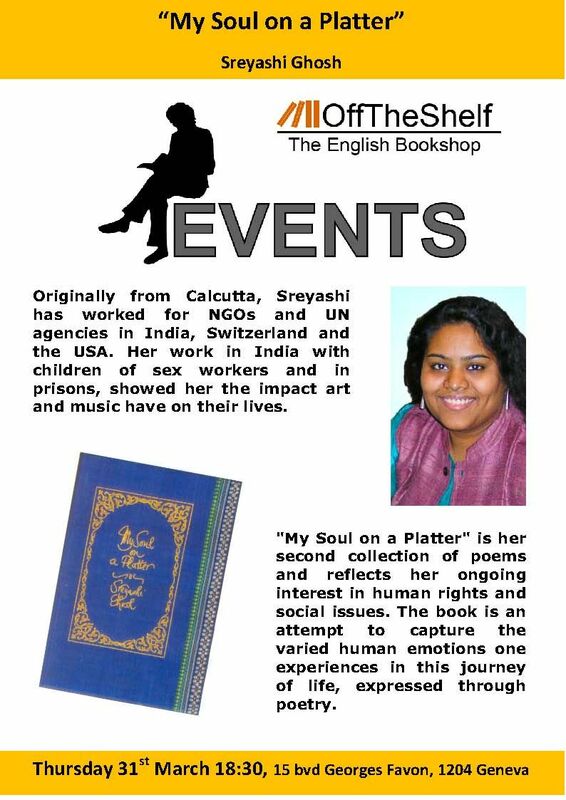 Poems from “My Soul on a Platter” set to music and ending with Tagore’s “Ekla cholo re”. Launch of Peace 365 with campaign materials.